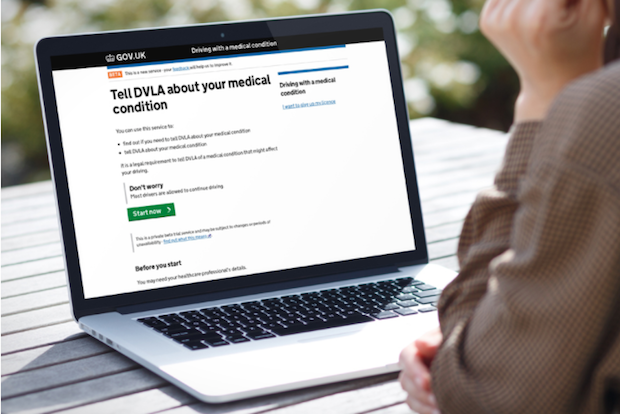 You can now use GOV.UK Verify to access the DVLA’s Report a medical condition that affects your driving and Renew your short-term medical driving licence service. Previously, the Report a medical condition that affects your driving service was accessed solely through paper forms. Now, with the digital service in public beta, drivers who hold an ordinary licence are able to report diabetes and all single-vision conditions to the DVLA online. People with those conditions can also use the Renew your short-term medical licence service. Those users account for 80% of all medical licence renewal and other conditions will added to the service soon. Here we take a closer look at how the digital transformation of the Report a medical condition that affects your driving service - including its use of GOV.UK Verify - will benefit users and government. It’s a legal requirement for drivers to tell the DVLA if they develop a condition that could affect their ability to drive safely. Before the Report a medical condition that affects your driving service was digitised, drivers could only report medical conditions via the phone or by post. A driver would receive or download application forms and/or questionnaires to send to the DVLA, who then processed the application. The DVLA would then write back to inform the driver of their decision. Under the paper-based system, the DVLA processed around 640,000 medical cases a year, and received almost 3,000 applications daily. Of these applications, 26,000 notifications were from drivers informing the DVLA of medical conditions they did not need to declare (for example, caesarian sections or broken limbs). Drivers then had to wait for the DVLA’s reply via post, only to find out that a notification was not required. Thus, this particular service area had a clear need for improvement. Users submitting an application or notification needed to receive a much faster response, and the DVLA needed to reduce its processing time. Drivers now have the option to save time by choosing to use the online Report a medical condition that affects your driving service. It’s faster because it starts by asking simple eligibility questions. This means users with conditions they do not need to notify DVLA about are informed of this quickly and don’t waste time waiting to receive a written response from the DVLA. From the DVLA’s perspective, this means less paperwork. The eligibility questions are followed by a series of short medical questions with ‘Yes/No’ answers. User research and consultation with medical advisors at the DVLA allowed the service team to streamline the process with fewer, simpler questions when compared to the paper-based process. In the case of glaucoma, for example, the medical questions have been reduced from 9 to 3. These are worded so that they still capture all of the necessary information the DVLA needs to make a decision on the user’s application. After answering eligibility and medical questions, drivers are directed to GOV.UK Verify to verify their identity. GOV.UK Verify has been designed to minimise storage of personal data, so drivers can be assured that their personal information remains safe and private. If a driver is completing the process online and is using GOV.UK Verify for the first time, it’s estimated that they’ll save 14 minutes when first notifying the DVLA about their medical condition (when compared to filling out a paper form and questionnaire). If they already have a GOV.UK Verify account and are using it to sign into the service, they’ll save an average of 24 minutes for a new notification. These time savings are related to 3 main improvements. Firstly, moving this service online provides a convenient alternative to postal and telephone services. Drivers no longer need to wait for the DVLA to return their relevant forms and can now complete their notification online during a single session. Secondly, the digital service also allows for a much faster user experience. The information that users provide allows the DVLA to offer advice on-screen to customers, displaying the possible next steps. For example, they can be advised whether or not they might be able to keep driving and be issued with a new shorter period licence, or told that they may need to stop driving. In fact, in 60% of cases, when the information is received by DVLA, they can make an immediate decision. By reducing the initial processing time, the overall journey is quicker and the user gets the answer that matters to them sooner. Finally, providing users with quicker responses and reassuring them throughout the online journey will help reduce the volume of calls made by people asking for a progress update from the DVLA. The service team estimates the volume of these types of calls about the Report a medical condition that affects your driving service will be reduced by 15% thanks to the online service. Nobody is excluded from a service if they are not able, or prefer not to, use digital services. Drivers will continue to be able to notify the DVLA about a medical condition or renew a short-term medical driving licence through a paper based service. However, the digital service - in reducing the amount of manual processing, time and cost for each application - will allow staff at the DVLA to prioritise other duties. Now that the DVLA’s Report a medical condition that affects your driving service is in public beta, the department will be continuing to iterate and improve the service’s digital offering, working alongside the GOV.UK Verify team to improve adoption. With GOV.UK Verify connected to Report a medical condition that affects your driving, the DVLA can be sure be sure applicants are who they say there are and can therefore respond to them quickly. The plan is to bring all conditions that drivers are required to notify them about online as part of the service over the next year. You can read more about the DVLA's design of this service over on the Inside DVLA blog. You can also get in touch with the team to discuss the agency's new approach to online medical licensing by email. Informing DVLA about medical condition online is another appropriate digital step in the right direction. If a medical condition is not listed does that mean there is no requirement for someone to notify DVLA? Also, do I need to register with Experian if there are no requirements for me to inform DVLA about my medical condition? Also, we are unable to recommend a certified company to you. 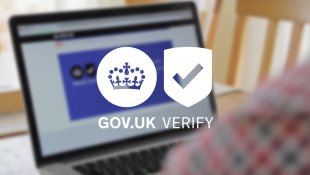 As part of the GOV.UK Verify journey you answered a number of pre-qualifying questions that determine which of the certified companies are most likely to verify you based on the evidence you have to hand. In order to help you decide which of these you would like to proceed with, there is an "About" link under every company's logo, explaining a little about them including their background in identity assurance.